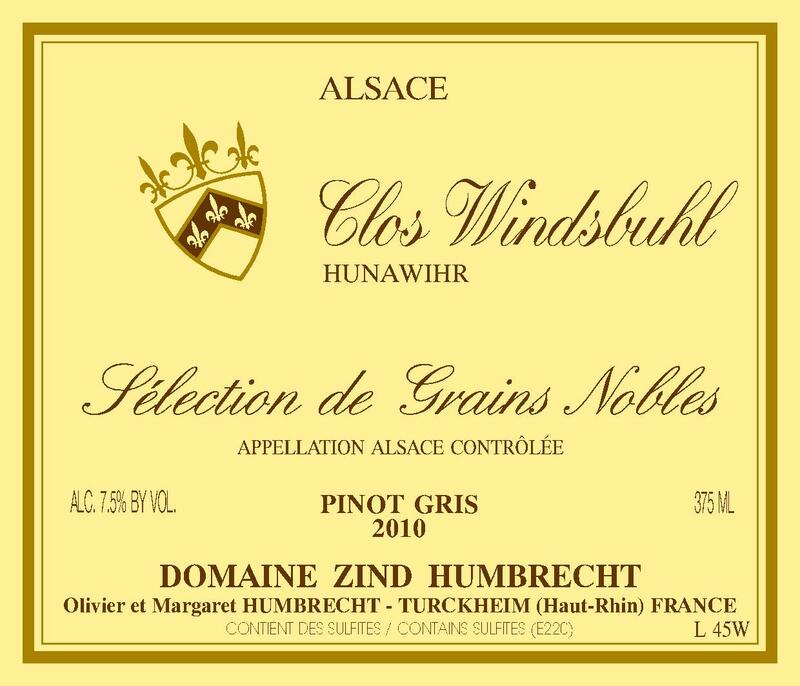 The old vines of Pinot Gris Clos Windsbuhl allowed an important noble rot development in 2010. The acidities were very high and the noble rot was of exceptional quality, so we decided to proceed to a selection during the harvest. The richest part produced this wine. The concentration of the grapes is astonishing, not in sugar content, but acidity and minerals. The light rocky calcareous soils of the Windsbuhl often produce rich wines that have an interesting acidity balance, but never like this wine. The fermentation was relatively fast for an SGN (6 months) but it will take much more time for this wine to be ready.